Good Girl Gone Redneck: AMF Summer Steals! #ad: I am participating in the One2One Network's ad campaign for AMF Unplugged/Summer Pass programs again this year. I'm not being compensated in any way but am eligible to receive a prize. Honestly, I love this freebie so much I figured why not volunteer? I share the info every year and if it helps SOMEONE on one extremely hot day this summer? Well ... that'll be worth it. Honest. It's freakin' hot out there! It's summertime, and you know what that means, right? AMF's Summer Unplugged and Summer Pass programs are up and running again! 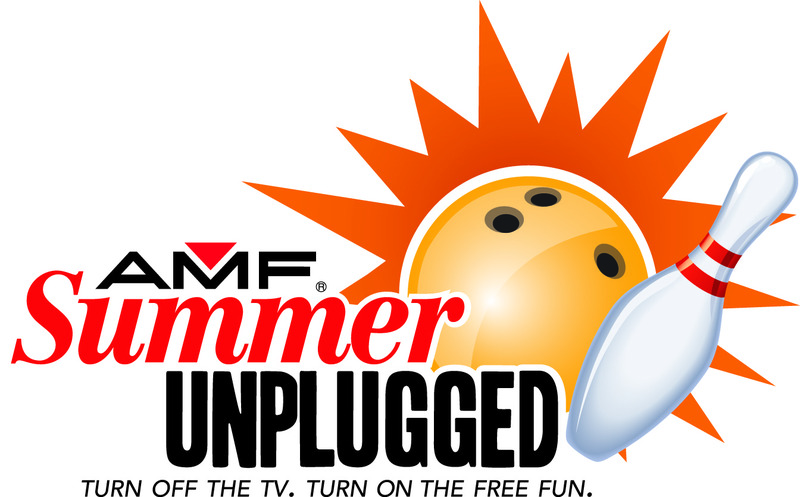 Summer Unplugged is their awesome program where kids bowl free daily until 8pm. TWO games. EVERY SINGLE DAY. If your kids are like mine and like to do the same thing over and over and over again? This is even more awesome for you, seriously. Bowling for free. This summer. Every day. Two games. Bring the kids. Get your friends to bring their kids. Give the lil ones a ball and let 'em roll. Seriously. Do it. It's so easy to register, too. Just head on over to the Summer Unplugged info page and you'll find quick and simple step-by-step instructions. You register, you'll get email info and you're good to go. The program is already underway and runs through early September, so you'll be set through the whole summer and finish up right as school starts (for some) or shortly thereafter. Find that two games aren't enough for your crew? Spend an extra $1.49 and you're covered for another game. It's their Stay and Play option, and for a few extra bucks it might be worth it to beat the heat. 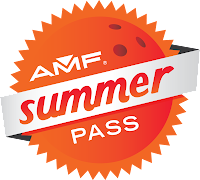 AMF also has a great deal on summer passes for adults right now that covers the same timeframe as their Unplugged program! Spend $34.95 and you're covering two games for yourself (as the pass owner) and THREE GUESTS (age 16+)! What? That's crazy!!! I might have to consider that for myself this season! Not sure if there is an AMF location near you? Head on over to check out the AMF Centers info today and find out. Reminder: I am participating in the One2One Network's ad campaign for AMF Unplugged/Summer Pass programs again this year. I'm not being compensated in any way but am eligible to receive a prize. I just like the program so much that I want to share the details. And I promise, it's worth it, even if you only use it once, what's it harm you to fill out the form and get this freebie? Nada. Nothing. No worries at all. So go on. Do it. And enjoy! How awesome! I <3 bowling! I signed up last year and went exactly zero times, because I never printed the coupons! I love that they've changed it this year. We're actually using it! I signed up for the grown-up pass, too, and I found a pair of bowling shoes on clearance for $9. Now I just need to find some for the rest of us!